Are you thinking to start your own cleaning service company? In this modern life, cleaning becomes really important to lead a healthy and happy life. By launching a cleaning service company, you can earn much money. But it’s not easy as people think. For opening a company, you should have follow thing. There are various kinds of cleaning service company in the market. Firstly, you have to choose that what kind of cleaning business you will run. One is residential or home cleaning service, and the other one is a commercial cleaning business or office cleaning business. One involves cleaning homes while the other involves business office cleaning. Write a complete plan of your cleaning service business, including how you will run your business, which may differ your business from others, price, quality and level of your services, how you will target do marketing of your business and totally all the things. So you can run your cleaning service business smoothly. 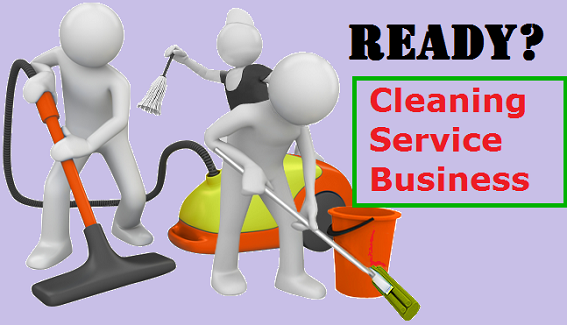 Before start your cleaning service business, you should be research, who will be your customer. Target your specific area and customer. So you can easily reach them. Make some special cleaning packages including their needs with nice price. Try to make a cleaning service list and pricing so that customers won’t get confused. Take your cleaning service business license from your govt. authority. It’s really important for committing your cleaning service company legal. Otherwise, your company will remain illegal. Also you can take certification of your good service from various organizations. Do you want to set up your business office first? Actually it depends on your business condition. If you start with small capital, than you can run cleaning service business from your home. It will be helpful for your business and for you. You can save huge money at starting of business. Instead of physical office you should emphasis on virtual marketing plan. After few days, if you think have you enough client, than you can take a office. Now it’s time to make publicity of your cleaning service business. You can give advertise on local media. Most important part of your marketing is properly use of internet. You can use social media sites like Facebook, Google+, Twitter, Pinterest, LinkedIn etc. You must have a well-furnished website of your company. It will be helpful for marketing of your cleaning service business online. Until take your physical office this website will your virtual office. 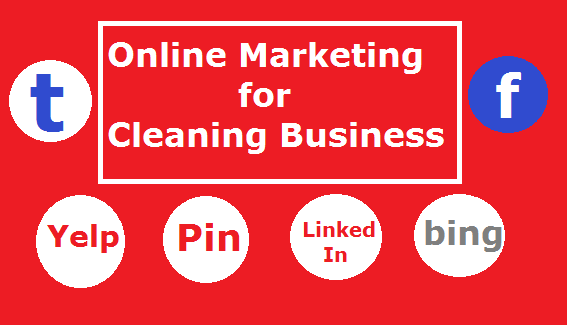 Online marketing is too much important for your cleaning service business. You can use all social media, your business website. Also there have more opportunity to expand your business. Yelp, Google Local Business, Bing, Yellow page, Trip Advisor are most popular online place for business review. You can enlist your business here for customer review. If you are serious about your business future, than you will be happy to satisfy your customer and get positive review on those sites. It will help to get more client. Also you can hire a SEO Specialist or firm for marketing your business. They will work for you and bring your site on first page of search result. Be ready with your equipment’s what you need for cleaning service business. Some equipment’s are brushes, sponges, vacuum cleaners, mops, little clothes, etc. Many cleaning service companies buy vans to transport the equipment’s to the clients’ locations. Service quality is very much important for client satisfaction. Without good staff, you cannot provide great service. So hire some skilled employees. Good service up your goodwill. Never use unskilled employees because it may be harmful for your business. It is an important thing. Try to always give your customers the best cleaning service. So that, they would be satisfy. Sometimes it happens that first service looks good, but second service looks very bad. For this mistake, your business can be finished. So, if you want to be successful in your cleaning service business, you have to maintain the quality of your business. Never neglect your any customer. Always try to get touch with them. At any occasion, special day, you can sent them greetings via email, mobile SMS etc. Your customer will thinks, you not only contact for your business. It makes them happy about you. It is important to keep your business running. Hope that, by following these tips, you will success in your cleaning business. If you go with steady must would be success. Sometimes you can fall in loss, but then you shouldn’t get so nervous. Just concentrate on your business, you will definitely successful. Try, try and try and catch out the success.